FAI is governed by a volunteer Board of Directors representing leadership in the folk music industry. The Board is elected by the voting members of the organization each fall, and an Annual General Meeting of members is held during the February conference. Click here for a list of Folk Alliance International Board Alumni. 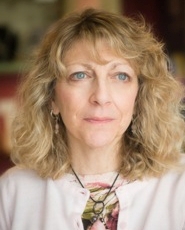 Lisa served as President of the Philadelphia Folksong Society from 2007 until 2015, and is currently the Festival Director, following nine years as Marketing and Press Relations. Under her direction, the PFS has focused on inclusivity, increased membership and attendance, a broadening scope of music, fiscal responsibility, and an increase in sponsors and grants. Lisa is a senior sales and marketing specialist with more than 30 years of experience providing marketing, project management, and consulting services in the new home construction, education, arts marketing, manufacturing, and retail arenas. 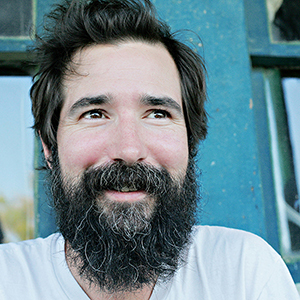 Matt the Electrician is a quirky, sincere folk/pop singer songwriter based in Austin, TX. He has self-released 8 studio albums, and 2 live CDs since 1998. With his newest project, Matt gets by with a little help from his friends. Throughout 2015 and 2016, he's focusing on a string of 7-inch vinyl singles. Matt regularly tours all over the world, playing theaters, festivals, clubs and house concerts, and is a fixture in clubs of his hometown, Austin, TX. 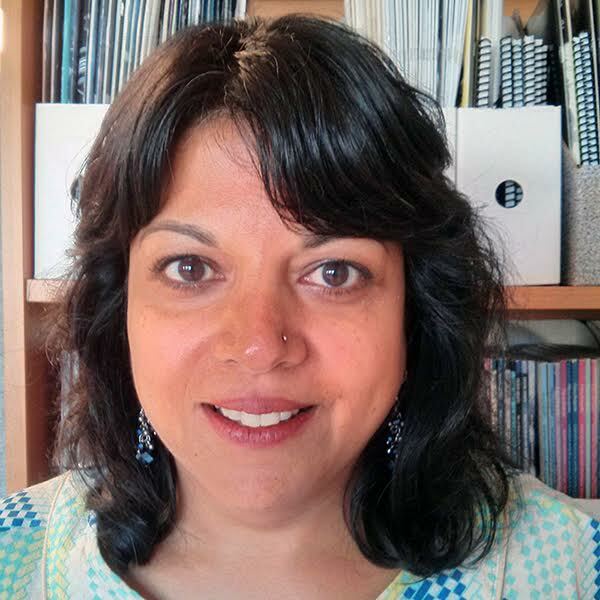 Alka Sharma is the Executive Director of Folk Music Ontario, previously the Ontario Council of Folk Festivals (OCFF), based in Canada's national capital, Ottawa. In this role she oversees the operations, staffing and programming of Canada's largest folk music industry event. Prior to this role she worked as the Interim Executive Director at the Toronto Reel Asian International Film Festival coordinating the country's largest multicultural cinema event. Preceding that she served as the Senior Manager of Operations with the prestigious Toronto International Film Festival. She completed her Bachelor of Arts degree at Carleton University specializing in History and Political Science. Deana is the Executive Director and Chief Curator of the Woody Guthrie Center in Tulsa. A member of the Tulsa Arts District Business Association, and the Tulsa Regional Chamber, she is also a board member of the Oklahoma Center for Community and Justice and the Oklahoma Center for Poets and Writers. McCloud was a charter member of the board for the Tulsa Office of Film, Music, Arts & Culture and currently serves on the executive board for Tulsa Regional Tourism. Deana is a National Board Certified educator. For 17 years she was a member of the Woody Guthrie Coalition, booking and producing concerts for the Woody Guthrie Folk Festival in Okemah, Oklahoma. She currently serves on the festival’s advisory board as well as the advisory board for the Woody Guthrie Journal. Ellen has been the Executive Director of the Minnesota Music Coalition (MMC) since 2013. Previously she was the Director of Publicity & Promotions at Grammy-winning indie label Red House Records, where she was voted one of the "Best in the Industry" by Americana DJ's five years running. She has also worked as a fundraiser, festival organizer, radio promoter, booking agent, music writer, and A&R rep. For the last twelve years, she has produced and hosted Womenfolk, a weekly music show on KFAI Radio. 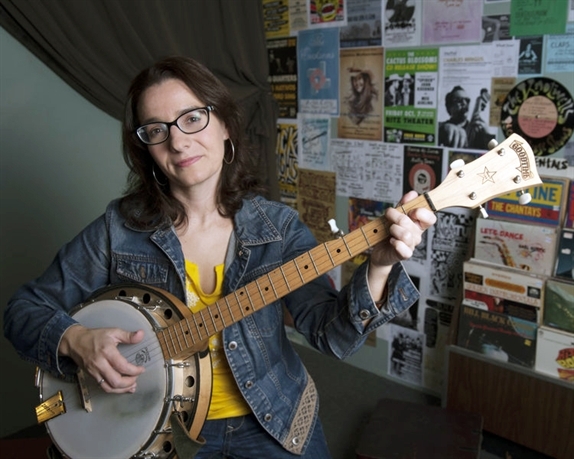 Ellen also performs her own music under the name Mother Banjo and teaches at McNally Smith College of Music. Lynn has been at Paradigm Agency for over 18 years and in the music business for over 23 years. Getting her start at a big agency in Los Angeles, Lynn found that Monterey Peninsula Artists was a better home, and she began working as the assistant to legendary agent Chip Hooper. Promoted to Agent in 2001, Lynn built her own roster while also booking clients from the full roster. Today, Lynn is proud to represent a host of amazing artists, such as Bruce Hornsby, Nickel Creek, Punch Brothers, Aoife O’Donovan, and The Wood Brothers. lou opened Momentary Love Management in 2005 and also began a brief stint as the booking agent for the late, great, Stephen Bruton. During that time, lou befriended numerous artists in need of support and a helping hand, leading him to turn Momentary Love Management into a full-time career after retiring from corporate life in 2014. Prior to his music career, lou was a very successful Human Resources professional for Bank of America, HSBC, and BP. He has served on other Boards including the American Institute of Banking, YEA! (Youth Education in the Arts! ), and Project U.S.E. lou is a graduate of Dominican College in Racine, Wisconsin. Dom is the “American Songster,” pulling from traditions of old-time folk music to create new sounds. 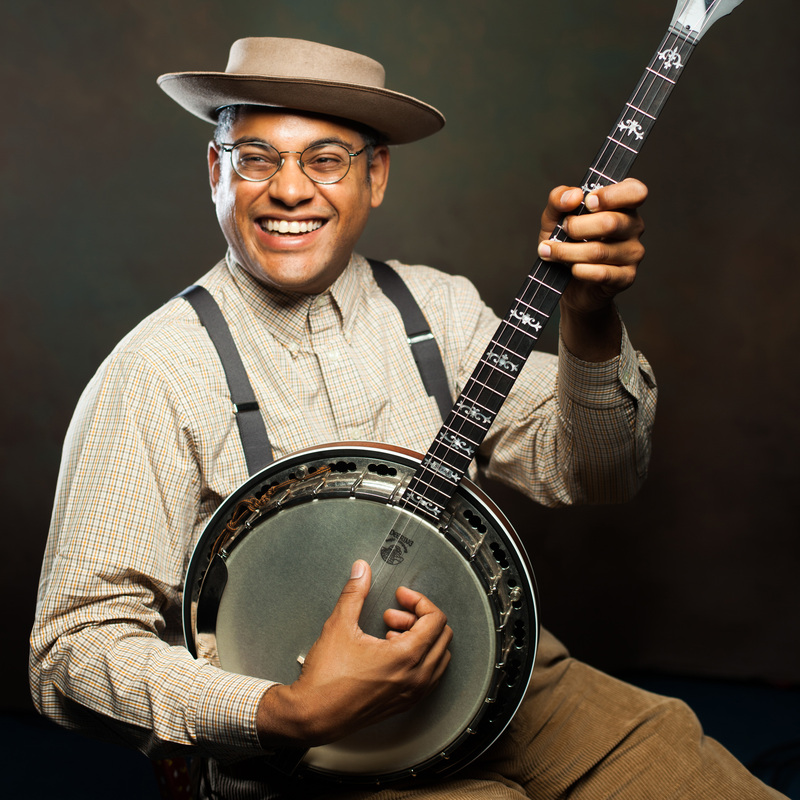 Having performed music professionally since 2005, he has traveled the world showcasing the rich history of American vernacular music. He has played at a variety of festivals spanning from the Newport Folk Festival, Bonnaroo and the Grand Ole Opry. Recently he received the honor of performing for the opening ceremonies for the National Museum of African American History and Culture in Washington DC. He is a multi-instrumentalist, researcher, record collector and advocate for the folk music. Gil Gastelum is a Tucson, AZ native and longtime LA Resident (with a 3 year stint in Austin, TX in between). 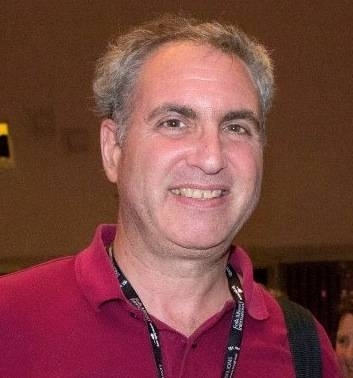 Gil has worked tirelessly as an advocate for indie Musicians for over 25 years- whether bringing in consignment records for indie artists, or founding Cosmica Artists- a management, label, and now publishing arm specializing in signing artists who are on the Indie side of the musical spectrum. 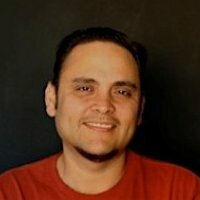 Gastelum has worked with the likes of Gaby Moreno, Carla Morrison, David Garza, and Thee Commons, and as an Indie Music Marketer- Smokey Robinson, Jackson Browne, and many others. 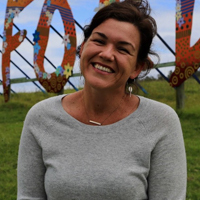 Chloe is the Head of Programming for the Woodford Folk Festival, The Planting Festival, and Festival of Small Halls Australia. Though most of Chloe's career has been with Woodfordia Inc, she has acted as the Executive Producer for MONA FOMA (Tasmania), as a show producer for major Brisbane arts venues, and as a consultant, agent, and manager. She has a BA in Theater Studies, has served on the boards of Vulcana Women's Circus, Flipside Circus and Folk Alliance Australia, and the Rollo Bay Fiddle Festival (PEI) and was a recipient of the 2017 FAI Spirit of Folk Award. 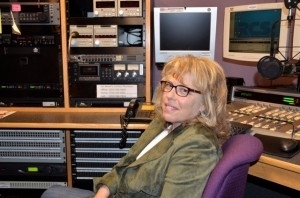 Joan spent more than 20 years as a program presenter, producer, and music correspondent at the Voice of America in Washington, D.C., engaging more than a thousand guests in conversations about music, their lives and the world around us. Joan is a graduate of Northwestern University (MS-Journalism) and received her BS (Broadcast Journalism) from Boston University. 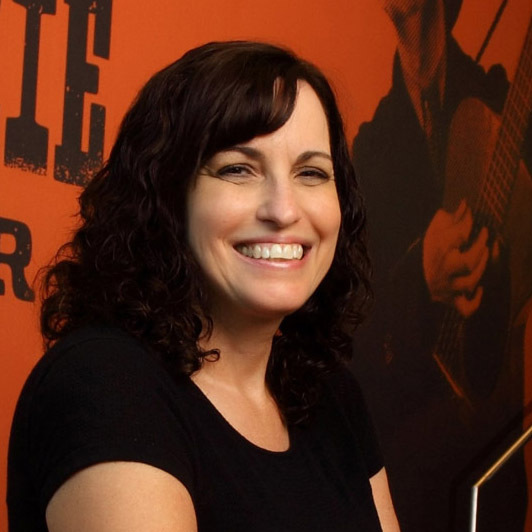 She is an alumna of IBMA's Leadership Music and served 2 terms on the board of the Americana Music Association. Joan is also an experienced blogger, speechwriter, and media coach. Gary Paczosa is a multi-Grammy winning producer and engineer. He is best known for his work with Alison Krauss, Dolly Parton, and Sarah Jarosz. He has served on the Grammy board and also works as head of A&R at Sugar Hill Records in Nashville. Amy is the co-founder (with actor Ed Helms) and executive director of The Bluegrass Situation, an online hub for roots music and culture, and producer of one-of-a-kind jams, stages, and festivals including the annual LA Bluegrass Situation festival, as well as hosting shows throughout the country, including stages at Bonnaroo, Newport Folk Fest, MerleFest, Americana Music Fest, and IBMA. Their growing website includes a broader range of musical coverage, inclusion of lifestyle pieces, and finely produced video series. Aside from overall brand management, Amy is responsible for artist and industry relations, media production, event and festival producing, and mediating strategic partnerships. 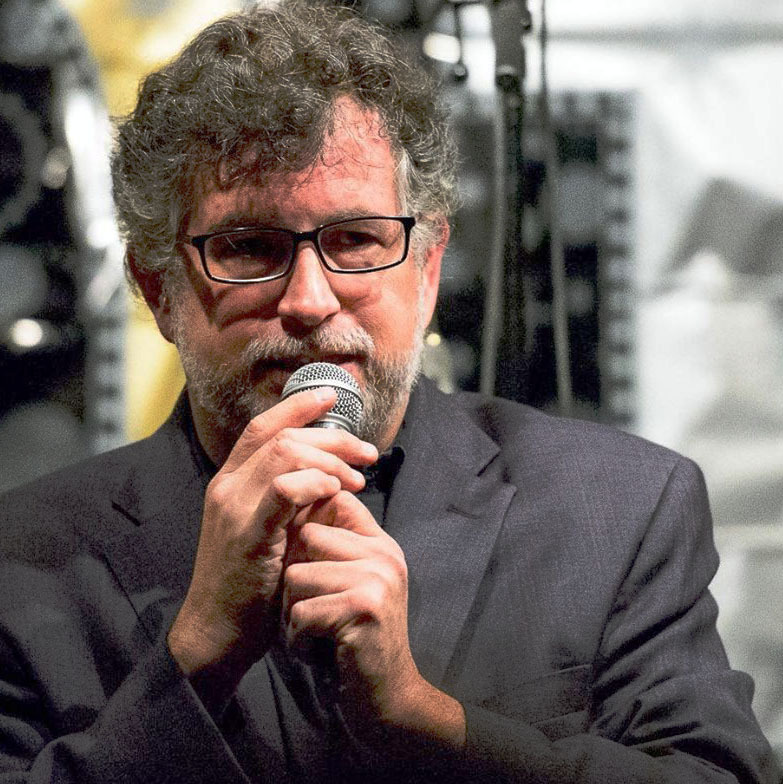 Matt Smith is the Managing Director of Passim, a non-profit arts organization in Cambridge, MA, and has been working there since 1995. He has also worked for Young/Hunter Management and was one of the founders of FolkWeb, an online CD realtor in the mid-late 90s. Matt has been on panels, juries and committees at the Falcon Ridge Folk Festival, Folk Alliance International, and the Northeast Regional Folk Alliance. He has worked as a tour manager, sound engineer, and stage manager/MC for various tours and festivals. Denise Stiff began her official career in the music industry when she moved to Nashville in 1984 to pursue songwriting. Early jobs included the TV show Bobby Bare and Friends and publicity for the Summer Lights Festival. As an agent for Keith Case, she heard Alison Krauss, and began her transition to management. Other clients include Gillian Welch and Sarah Jarosz. She was the Executive Music Producer for “O Brother, Where Art Thou?” and was instrumental in the subsequent album, film and tours of “Down From The Mountain”. Recently retired, she remains passionate about folk music and encouraging young songwriters. Meg Tarquinio is a Senior Editor at Spotify where she works to nurture folk music culture by curating for folk, roots music, and acoustic audiences - building a playlist ecosystem that aims to engage new listeners and deepen fans' experiences with music. Meg's early experiences with folk music communities at local powwows, Irish traditional music festivals, etc. inspired her to pursue a career in music. 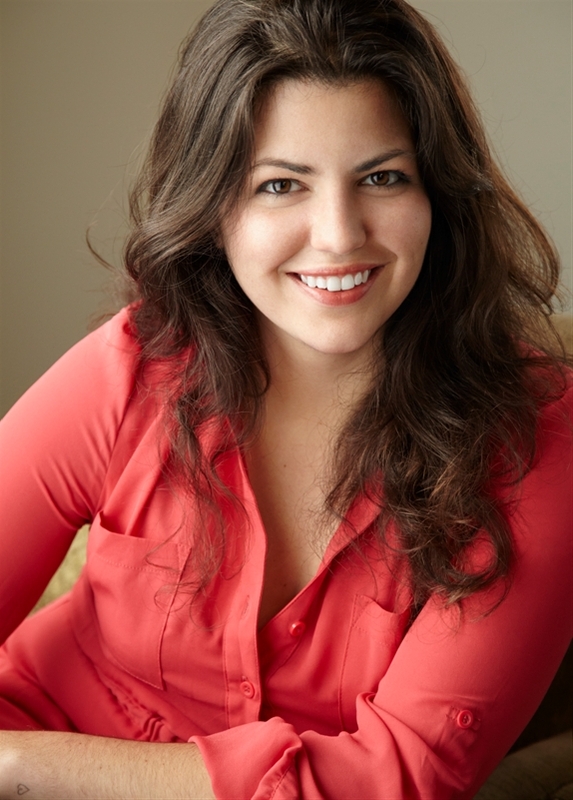 She attended Northeastern University to study music business, history, and ethnomusicology. She later obtained an MA and Ph.D. in Literature, situating her work within the digital humanities to explore how technology can evolve the way we create, consume, and critique art. 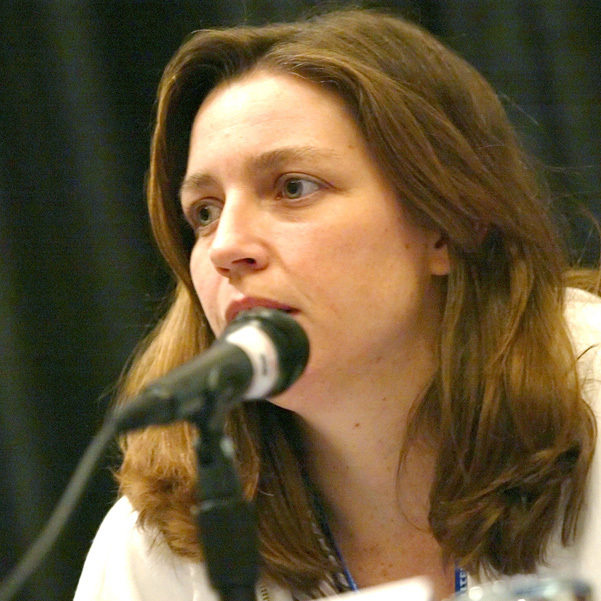 Laura Thomas is the agent and owner of ComboPlate Booking, which opened in 1999. ComboPlate Booking is an artist agency representing folk, Americana and roots rock singer-songwriters. In addition to artist based tour services, volunteerism and community have been integral to Laura’s business. Since 2001, Laura has presented volunteer musicians at a monthly soup kitchen concert in Austin, Texas. In 2002, Laura started South By Soup Fest, a multi-day showcase at the soup kitchen. Since 2005, Laura has organized a day party raising funds for the same soup kitchen. SXSF and the day party take place during SXSW each year. Gerald Torres is a leading figure in critical race theory, environmental law, and federal Indian Law. He previously served as the Bryant Smith Chair in Law at the University of Texas School of Law and taught at The University of Minnesota Law School, where he served as Associate Dean. He is also a former president of the Association of American Law Schools (AALS). Torres has served as deputy assistant attorney general for the Environment and Natural Resources Division of the U.S. Department of Justice in Washington, D.C., and as counsel to former U.S. attorney general Janet Reno. He is an avid Blues-man. Reid Wick has served music communities across the South for many years. 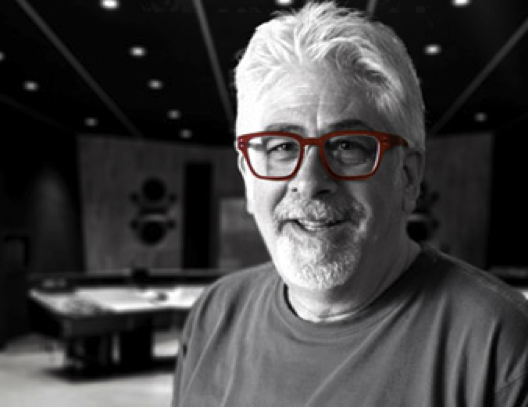 He is the Recording Academy's New Orleans-based Membership & Industry Relations representative, where his responsibilities include membership, advocacy, creating professional development and networking programs across a five-state region. For the two years post-Hurricane Katrina, Wick administered the MusiCares' Hurricane Relief Fund. Wick served Loyola University's College of Music as marketing communications manager and instructor in Music Industry Studies. He has served on numerous boards and co-owned an indie record label. He received the 2018 Cutting Edge Music Conference Lifetime Achievement Award. Wick is an active New Orleans musician.